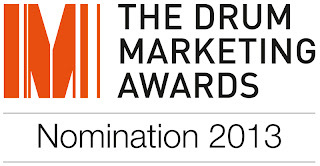 We’re rather pleased therefore that our work with Dennis Publishing has been shortlisted for Best Long Term Strategy in the Drum Marketing Awards, with winners to be announced at a black tie event on 9th May in London. We’re up against some pretty impressive competition from the likes of the NHS Change4Life campaign and Ribena’s digital programme, but regardless of whether we take home the trophy on the night, we’re really pleased that the fantastic gains Dennis Publishing is achieving through lead generation are being recognised by our peers. Over the last 3 plus years, we’ve helped Dennis find and tap into completely new audiences for subscription acquisition across all relevant channels - including traditional voucher and offer sites, hard-to-reach premium display, social media and even smart phones and tablets too. The now established programme continues to deliver excellent ROI thanks to Lead Intelligence’s ability to power complex, multi-channel campaigns while keeping control of activity and costs through incredibly sophisticated management and analytics tools. Check out all the categories and finalists over on The Drum’s special microsite and wish us luck on the night!